Red Dead Redemption dropped players into a world that was modernizing, a world slowly abandoning the American Wild West. As a prequel, Red Dead Redemption 2‘s setting gets to marinate in that time period a little while longer. However, RDR2 also takes place in the Wild West’s final few years. Interestingly, the sun is setting on Dutch van der Linde’s gang, as well. In an interview with The Hollywood Reporter, developers from Rockstar Games elaborated on what players should expect from the plot this time around. 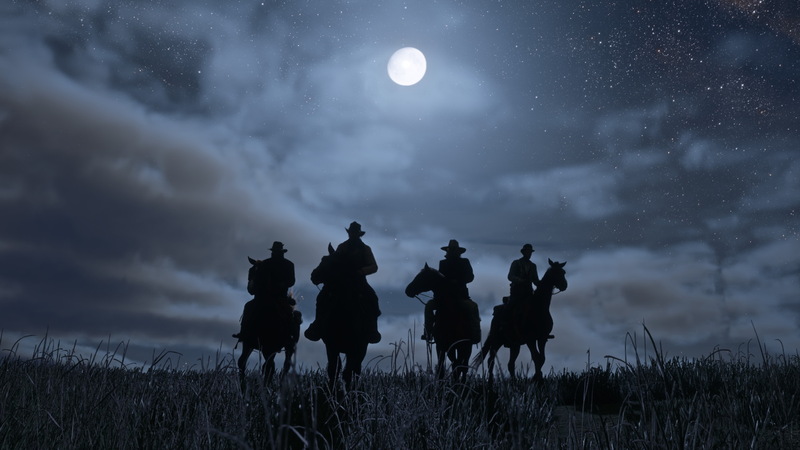 Josh Bass, Rockstar San Diego’s Art Director, said that a desire to further explore Dutch’s gang explains Red Dead Redemption 2’s overarching plot. Dutch’s presence loomed over the original Red Dead Redemption, and his influence on events was a big inspiration for the setting and direction of Red Dead Redemption 2. We all wanted to know more about him and the gang—what was it like riding in that gang? What led them to the events of the original game? What happened to them along the way? Unlike Red Dead Redemption, this subsequent entry in the series won’t follow John Marston. While the star of the 2010 release will very much have a presence, Arthur Morgan will be the window from which players view this new story. In Red Dead Redemption 2 you get to see that gang, including Marston, at the peak of their notoriety and at the very moment things begin to fall apart. This story focuses on Arthur Morgan, Dutch’s most trusted enforcer. Adopted into the gang by the Dutch when he was a young boy, Arthur considers the gang to be his family—Dutch has given his life some much‐needed purpose, and the gang has served as the one positive and constant in Arthur’s life. Things are changing—there’s not much room in a rapidly modernizing world for the gang’s way of life. Through Arthur’s eyes, you see events begin to take a toll on the gang as they are forced to flee across America, while at the same time, Dutch’s hold on the gang begins to slip. We’ve aimed to capture a wide slice of American life in 1899, a rapidly industrializing nation that would soon have its sights on the world’s stage—and would do whatever possible to ‘modernize,'” Garbut says of the sequel’s setting. “It’s a brutal landscape with a sordid history, but also one that’s full of opportunity. One of the most satisfying aspects of creating a world of such scope and scale is the ability to experience a whole range of stories and characters in your journey across that world. The gang’s journey and the game’s epic scope makes room to touch on all aspects of turn of the century America in a meaningful, substantial way. “The contrast between rich and poor” is included in the “epic scope” Garbut spoke of. Exploring this social and economical dichotomy, along with several others, requires Arthur to have depth. Thankfully, as technology improves, Rockstar’s been able to explore the nuances of character in a way that wasn’t possible with its previous titles. Of course, this means a certain level of consistency is demanded. The game world and its inhabitants will have to react to Arthur according to his behavior. Garbut said managing this balance is essential. We’re trying to create a world where everything is more cohesive, so that both the player’s actions and the way the world reacts to your actions feel consistent no matter what you do or where you do it. It’s persistent and alive, but also more deliberate and intimate in ways which makes sense for a world where you were still mostly getting around by horse or on foot. You can exchange stories with a barman in a saloon, talk yourself out of trouble with a local lawman, hijack a train or simply rummage through the drawers of an old homestead hoping to find cash or just some food to help the gang survive—and seamlessly transition between these things in ways that are both fun and are in keeping with Arthur as a character. The wait to see the story unfold for ourselves will end soon. Red Dead Redemption 2 hits the PlayStation 4 and Xbox One on October 26, 2018.